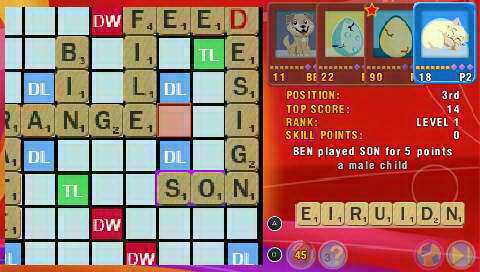 Scrabble was delisted from PlayStation Network for PlayStation Portable. An exact or approximate date of delisting is unknown but it was presumably between February and October of 2014 alongside other Hasbro titles from Electronic Arts. EA held the Hasbro license from 2007 to 2014 and released several games based on their board games on numerous platforms. 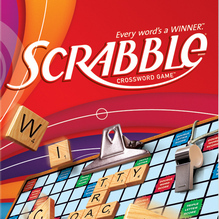 Ubisoft announced in August of 2014 that it was the new license holder for Hasbro properties resulting in the delisting of this and most other EA published titles. 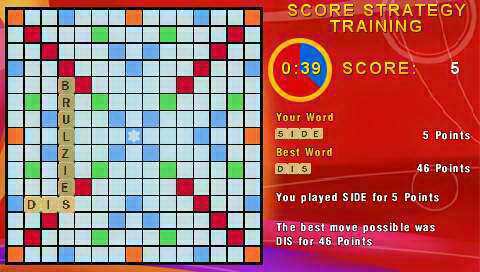 Scrabble remains available on physical media for PlayStation Portable and Nintendo DS. Three unique Scrabble titles for Nintendo DSiWare have also been delisted. 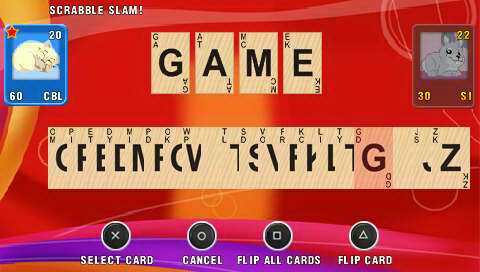 SCRABBLE SLAM card game where players try to be the first to discard all their SLAM cards by making four letter words.